Casting has been announced for Pity by Rory Mullarkey which opens at the Royal Court Theatre in July 2018. What happens next verges on the ridiculous. 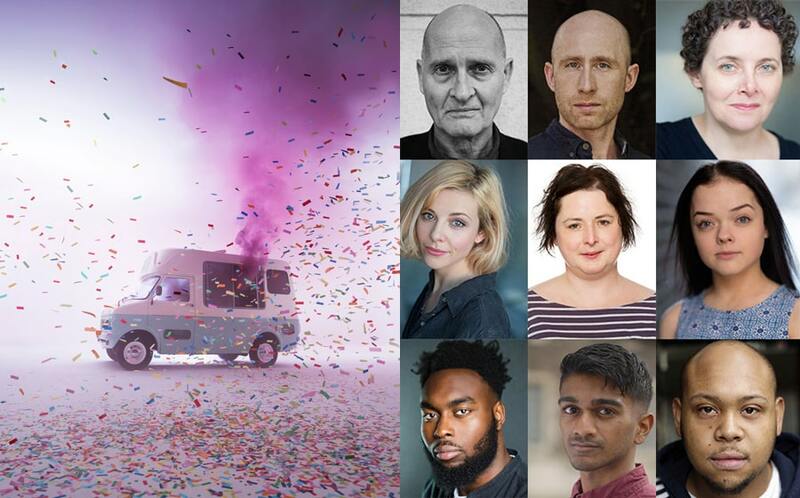 Paul Bentall, Sandy Grierson, Helena Lymbery, Sophia Di Martino, Siobhan McSweeney, Francesca Mills, Abraham Popoola, Paul G Raymond and Dorian Simpson have been cast in the world premiere of Pity, by Rory Mullarkey. It is directed by Royal Court Associate Director (International) Sam Pritchard and will feature members of Fulham Brass Band. Pity is designed by Royal Court Associate Designer Chloe Lamford, with costume design by Annemarie Woods, lighting design by Anna Watson, composition by Tom Deering, sound design by Pete Malkin and movement direction by Sasha Milavic Davies.